The Shenandoah Conservatory Arts Academy of Shenandoah Conservatory celebrates it’s 40th year in 2017. The SCAA was founded in 1977 to provide enrichment opportunities and pre-professional studies in the fine arts for students of all ages and abilities. Our faculty of over 70 professionally trained musicians, dancers and educators are ready to share their expertise with you and your family and foster the next generation of performing artists. 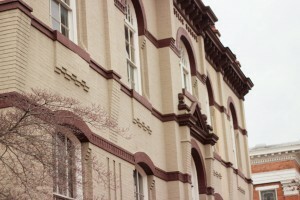 The Shenandoah Conservatory Arts Academy is located in the historic district of Old Town Winchester. Our address is 203 S. Cameron St. Winchester, VA 22601 (located at the corner of Cork and Cameron, in the John Kerr Building).